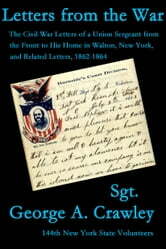 From the Foreword by Elisabeth Lee Rennie: "The twenty-seven letters in this collection of Civil War era letters connect members of one small community in Walton, New York, near the Pennsylvania border. More than historical correspondence from the battlefield to the home front, this primary collection documents a social network of the time. Two local families, the Crawleys and the Hanfords, link through a marriage; around them is a shared web of siblings and parents; cousins, uncles, and grandparents; friends and acquaintances. 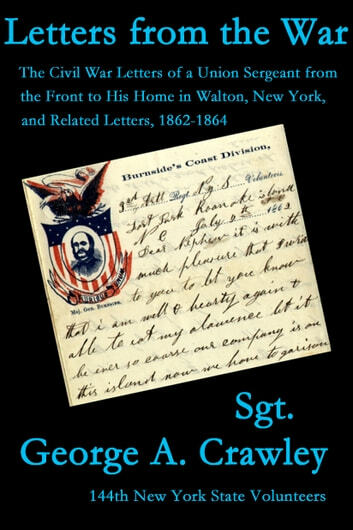 Far from home, as their duties allowed, the soldiers collected paper and stamps to &apos;seat themselves&apos; and check in with their network." Wilmington North Carolina During the Blockade. "Don't tell father I have been shot at"
Books to Bullets... in Defiance of Northern Propaganda!